This holiday season, buying a gift for a gamer has never been easier while simultaneously being tougher because of all the great choices available. From more powerful video game consoles to mysterious board games, anyone who likes to play is bound to have one of these choices on their gift list. Bundles that package games and specially designed hardware can make shopping easier, and there are some outstanding games that can provide many hours of entertainment. There are sure to be Black Friday and holiday special pricing for many of these items. Check with your favorite retailers to see the current costs and availability. Blocky adventures that are only limited by your imagination await in “Minecraft” for the Xbox One, but what if you really wanted to highlight your enthusiasm for the game? The Xbox One S Minecraft Limited Edition Bundle contains everything needed for the would-be world building, including your very own creeper. In addition to the game, the bundle contains a specially decorated Xbox One S console with a creeper staring at you from the controller. There is also the Redstone graphics pack, which contains skins and textures to add variety to your building efforts, and a vertical stand for the console to show it off properly. The game, which was the bestselling game for the Xbox 360, can also be played across platforms, including Windows 10, mobile devices, and soon on the Nintendo Switch, so players can play with their friends no matter what devices they have. If it is more gaming power you seek, the Xbox One X is the more powerful console available right now. 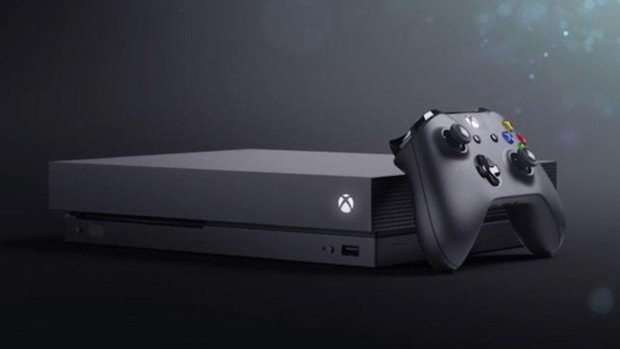 With a built-in 4K Blu-Ray player, premium audio through Dolby Atmos, and faster processing and memory for smoother gameplay, the Xbox One X is the perfect gift for someone who wants their games to look and play the best way possible. While all Xbox games can be played on the new console, some titles will be optimized to take advantage of the additional console features. In addition, any accessories that worked for the Xbox One will work with the Xbox One X. “Destiny 2” packs itself with more content, more choices and more time that you are going to sink into a game that hooks you from the start and never wants to let go. Don’t worry. That’s a good thing. Instead of Light, players will be trying to increase their power levels through the equipment they acquire. There are many ways of gaining new strength, including new public missions, where players collectively work to defeat a very large and complicated foe. There are new group missions released weekly, and the planetary challenges change often. The mission beacons are still around, offering bite-sized adventures if you are waiting for the next public mission to arrive. “Destiny 2” continues to find ways to keep players challenged, interested and engaged. New expansions, available through a separate Expansion Pass, will challenge everyone to dive in. The game is available on the PlayStation 4, Xbox One and Windows PC. It has been a long time since everyone’s favorite gaming plumber, Mario, has had a new adventure to explore. “Super Mario Odyssey” has Mario trying to rescue Princess Peach (yes, again) from the clutches of Bowser, who wants to marry her. The game features various kingdoms for Mario to travel, exploring new areas and making new friends, like Cappy, a spirit that helps Mario capture opponents or find new pathways. The game is only available on the Nintendo Switch, and Nintendo has made it easy to get everything in one package. The Nintendo Switch bundle contains the console and dock with red left and right Joy-Con controllers, matching the color of Mario’s hat. 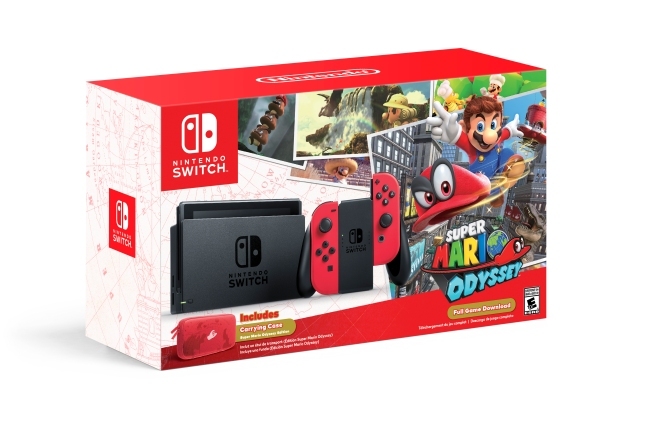 There is a digital download for the game, and a special red carrying case featuring Cappy looming over a map of the kingdoms. It is the perfect selection for anyone who loves Mario and has been waiting for the right moment to get the Nintendo Switch console, which was released in March. Not all games are electronic, and some players actually prefer gathering around a table with friends to enjoy some shared adventures. “Tomb of Annihilation,” the 5th and latest edition "Dungeons and Dragons" adventure from the talented people at Wizards of the Coast, gives everyone a chance to face a global phenomenon that is forcing the most powerful and influential characters to come face-to-face with their own mortality. Something or someone has created a curse that will not let dead people be raised and is slowly wasting away those who have been brought back from the dead previously. There will be monsters many players have never faced before, including zombie dinosaurs! The city of Chult is a beacon of light, color and excitement. The residents are flush with life, enjoying good food and fun. Adventurers will find contact and quests aplenty, but don’t miss the dinosaur races. The race for the tomb will thrill experienced players but is balanced enough for beginners to also dive in and enjoy solving puzzles, combating enemies and creating their own stories. Two games, which on the surface appear to be wildly divergent, are exciting tales of triumph, tragedy and legend set in unique environments. However, “Middle-Earth: Shadow of War” and “Assassin’s Creed Origins“ have very similar features, including hours of adventuring fun. “Shadow of War” is set in the fantasy universe of JRR Tolkien’s stories of hobbits, rings and monsters. “Assassin’s Creed Origins” draws its storyline from some of the most prominent moments in time during Ancient Egypt. Both games offer open worlds with plenty of room and quests to explore. The main character uses a sword (or some handheld weapon), a bow and the ability to jump from very high places. In one game you can dominate your enemies, while in the other you can assassinate your foes, but each does rely on stealth for its most effect method of fighting. There is an entertaining and immersive storyline for players to follow, and there are dozens of side quests to complete and items to collect. Memorable enemies will challenge players. These are not games that will be finished in an afternoon. These are novels in video game format to be savored and enjoyed while you direct the actions. What story do you want to tell? Both games are available on the PlayStation 4, Xbox One and Windows PC. “Call of Duty: WWII” takes players into some of World War II's most iconic battles. Then, pair that adventure with a limited-edition PlayStation 4 to really show off your interest in historical warfare with a camouflaged console. The game features historical combat from the Invasion of Normandy on D-Day, Liberation of Paris and Battle of the Bulge. As a member of the U.S. Army’s 1st Infantry Division, you will take part in missions along the Western Front in the European theater. The gameplay aims to be more realistic with more accurate movement options from real soldiers, and a health system that relies on your squadmates, instead of regeneration, to keep you on your feet. The limited-edition PlayStation4 has a camo-styled exterior for the console as well as the DualShock 4 controller. Despite the attempts at hiding, the PlayStation4 will stand out and makes for a great conversation starter as well as a powerful gaming device. The bundle is available now with both the decorated PS4 and the game included. "Betrayal" is a word often used during "Dungeons & Dragons" gameplay. Whether setting up for an adventure or waiting for that rogue to finally go all-in against the party, betrayal makes perfect sense for a brand new board game featuring the thrill of D&D combined with one of the best horror board games ever. “Betrayal at Baldur’s Gate” puts players into that iconic city to survive the threats and encounters that abound in Baldur’s Gate. It seems pretty straight forward, until an evil turns player against player and changes the dynamic of what survival really means. Based off the “Betrayal at House on the Hill” gameplay, adventurers will have changing scenarios, monsters, location tiles and more to help them create a singular adventure in the new board game. If you need just a little something to accentuate a gift or want to help a gamer, KontrolFreek offers a selection of thumbsticks, grips and accessories for console players. A variety of textures, sizes and comfort are available. They also have screen protectors for the Nintendo Switch, and grips to wick away sweat during those long, intense gaming sessions. Check out their bundles for deals on multiple products to make holiday shopping easy and inexpensive.